Easy quilt patterns that take beginners step by step to piece a quilt top. 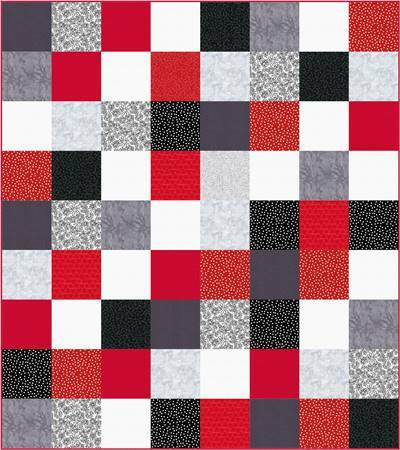 Use big blocks to make beautiful quilts. Did we mention they're free! You may see a traditional block, or a variation of it, made modern with the use of modern prints or solids or an entirely new block that I come up with. So, I have enlisted the aid of quilt design software called Electric Quilt. This software allows me to design quilts quickly, try out different color schemes, draft quilt blocks, print patterns and so much more. It means that you most likely will see the computer-generated picture of a quilt pattern. This way you get to see the entire pattern of the quilt top. That's always a plus! For every quilt pattern that I design I actually make the block in fabric. A lot of times by combing through my stash and working with the fabric is where I get my inspiration for designing the quilt top. These are all easy quilt patterns suitable for beginners. 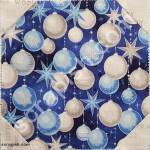 More experienced quilters may enjoy the variety of design. Most quilt shops require you to purchase a minimum of 1/4 yard of fabric. And if you're buying online the minimum is usually 1/2 yard. So I round fabric requirements to the nearest quarter yard. Most of my patterns are designed using solids or almost solid fabric - mottled or tone on tone prints. The purpose for this is so that you may more easily visualize a quilt in fabrics that you choose. To get a similar look to that depicted in the quilt pattern simply choose fabrics where the background is a similar color to that of the pattern. If a pattern is precut friendly it will be noted. 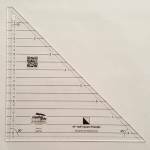 Common size precuts are fat quarters (18 inch X 21 or 22 inch), 10 inch squares, 6 inch strips, 2 1/2 inch strips, 5 inch squares and 2 1/2 inch squares. Of course, I like to use lots of different fabrics in the quilts that I make. So I encourage you to use your stash and scraps. 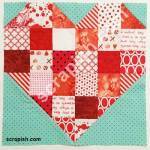 If scraps are best used versus yardage it will be noted. There are many steps in a quilt pattern. The primary step (as I see it) is making the blocks. A block is made up of units such as squares, rectangles, triangles, half square triangles, quarter square triangles or flying geese. Knowing how to make a particular unit is a prerequisite to making the block it's used in. These units are used in many blocks so usually I have posted a separate step-by-step tutorial on how to make them. Therefore, I will not usually repeat writing these steps in a pattern. I will simply list the page of the particular unit as the prerequisite. You know I love big blocks! They only add to the easy part. Especially, for twin, queen and king size quilts.